Will the Clintons finally be brought to justice? 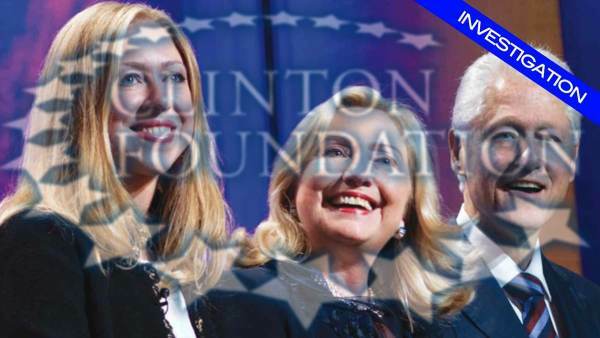 Investor Charles Ortel believes new research signals the Clinton Foundation is at risk of being the subject of multiple international criminal investigations. Ortel explained to Infowars.com that the Clinton fraud with UNITAID could lead to criminal investigations in countries including France and Great Britain, even if the U.S. Justice Department continues to decline any serious criminal investigations into Clinton Foundation activities. UNITAID documents that 60.8 percent of all UNITAID contributions from 2006-2012 have come from France. Ortel explained to Infowars.com that a French government investigation in 2011 concluded that UNITAID had sent approximately $450 million to CHAI by Dec. 31, 2009. Ortel pointed out that a major problem for the Clintons was that neither CHAI nor the Clinton Foundation had received proper authorization from U.S. government or foreign government authorities to operate as an international charity accepting donations in the U.S. and abroad to combat HIV/AIDS. “The problem is that regulatory filings prove the Clintons had merged CHAI out of legal existence on December 31, 2005, before UNITAID was organized on Sept. 19, 2006, and the second entity, the Clinton Foundation, never had lawful power from the IRS to do anything other than serve as Presidential archive and research facility in Arkansas,” he continued. Read Jerome Corsi’s entire report for Infowars here.